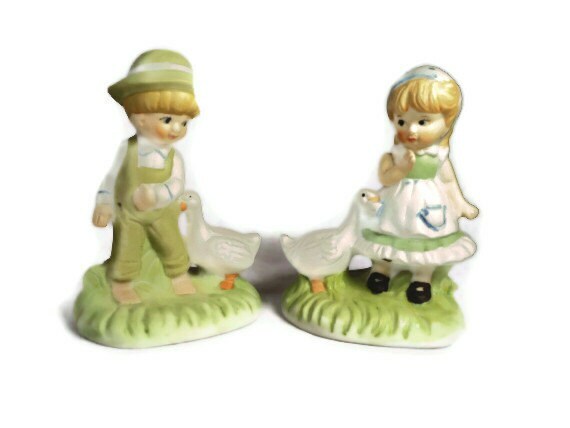 Boy and girl figurines, old fashioned ceramic boy and girl with duck figurines from Brinn's of Pittsburgh. The boy is in green coveralls with a green hat and the girl has a green dress on with a white pinafore and a polka dotted scarf. They each measure 4" (10.2 cm) X 2 3/4" (7 cm). 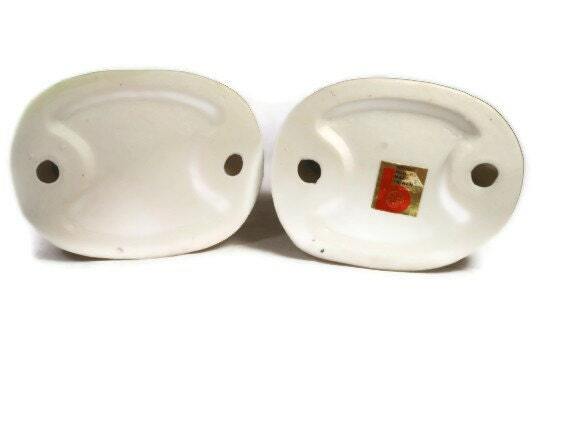 There is some minor rubbing else they are in very good vintage condition. Brinn's was a wholesaler of art ware, dinnerware, figures, garden pottery, jardinières, premiums, teapots, glassware, ovenware, novelties and various ceramic and glass accessories. 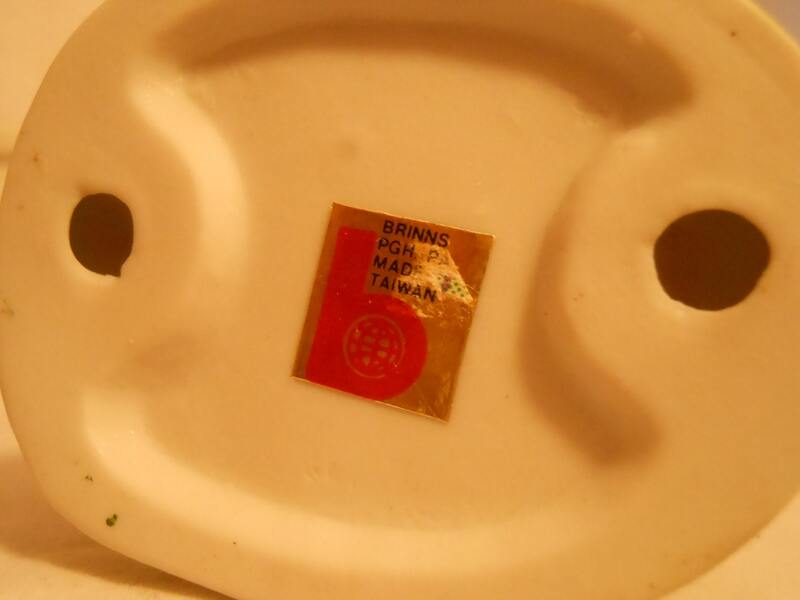 By 1959, the company distributed ceramic and brass imports from Japan and England. 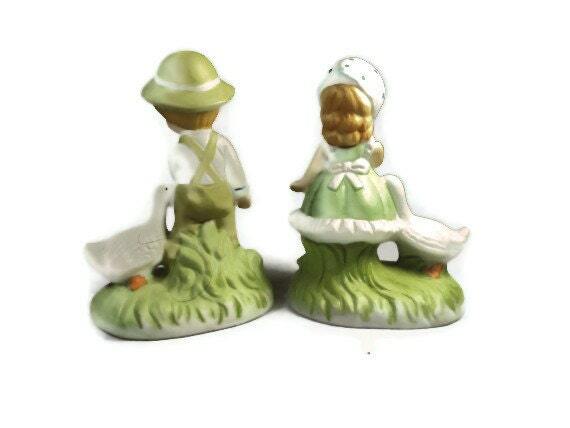 Two decades later, under the operation of president Charles Brinn and vice president David M. Brinn, the company was listed Asian importer of ceramic figurines, animals, novelties, dinnerware, stainless steel, and dolls.